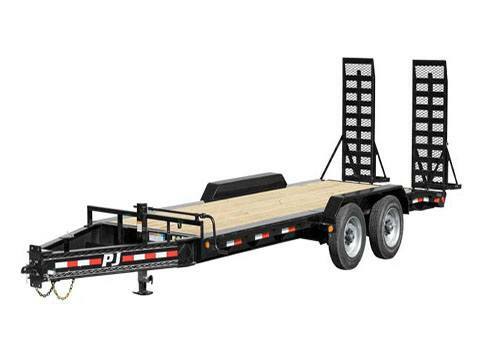 2019 PJ Trailers 10 in. Pro-Beam Equipment (H5) 28 ft.
10,000 lb. x 2 G.A.W.R. 10 in. Pro-Beam Equipment (H5) 28 ft. Treated Pine Lumber Deck - 2 in. Channel Ramps w/ Holder - 5 ft.
Pintle Eye Face Mount Coupler - 3 in. Grey Wheels - (4) 17.5 in.